Previous post: Boost Your Bottom Line: Advertise on The DTM! 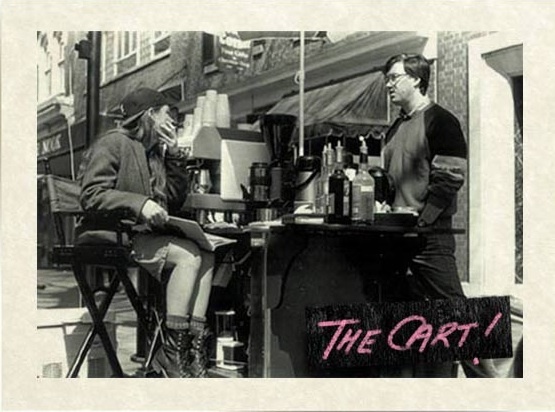 W e remember Lynelle and John wheeling out their coffee cart on to the DTM in late 1993. You’ve come a long way, Guys. Congrats! USAToday–It takes more than beans to serve a great cup of coffee. The country’s best coffeehouses also specialize in hospitality, says David Heilbrunn, who runs Coffee Fest, a trade show that promotes specialty coffee: “They know their customers. You feel like family when you walk in the door.” He works with industry expert Chris Deferio on an annual competition to find the country’s top coffeehouses. They share some of their favorite spots with Larry Bleiberg for USA TODAY.